Saudade, Funky Line, Hallelujah, Voice of Autumn. This CD was released at begin of September 2002 by Acoustic Music Records. Guest musicians: Robert Gast: keyboards & drums, Rüdiger Isler-Hartenstein: bass, Holmer Harms: drums. Produced and recorded by Dieter Geike at "Blonker-Studio", keyboards & drums recorded at "dr-seltsam"-Studio", gemixt at "dr-seltsam"-Studio" by Dieter Geike and Robert Gast. The songs: 1. Straight Ahead (Geike/Gast), 2. Mother & Son, 3. Funky Line, 4. I will never forget, 5. On the Run, 6. Dduje core pazze (Gaetano D´Angelo), 7. La Fenice, 8. Magenta, 9. Hallelujah, 10. Klaar Kiming, 11. African Rain (Geike/Gast). Please click on the cover to enlarge the picture.
" I will never forget "
" Mother & Son "
" Journey to the windward Islands "
This album was released in 1995 at the "Prudence"-Label by BSC-Records. Guest musicians: Jürgen Wiegand: trumpet, Markus Kuczewski: e-piano. Produced and recorded by Dieter Geike, remixed by Frank Reinke at "Blonker-Studio". The songs: 1.Take Off, 2. Oriental Circuit, 3. Anchorage, 4. Journey to the windward Islands, 5. September, 6. Magic Carpet, 7. I´m a Capricorn, 8. Once in a blue Moon, 9. Summerlightning, 10. Woman´s Reason. Coverpainting by Ulrich Schütt.
" The Tree of Life "
This CD was released in 1993 at the "Prudence"-Label by BSC Records (at "contact & links" you´ll find a link to BSC Records). Produced and recorded by Dieter Geike at Blonker-Studio, remixed at Vox-Klangstudio by Frank Reinke. The songs: 1. Castles in the Air, 2. Travelling, 3. The River flows, 4. Saudade, 5. La Valetta, 6. 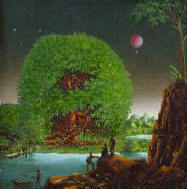 The Tree of Life, 7. Arcadia, 8. Sweet Nioma, 9.Dangerous Steps, 10. This is a long Story. 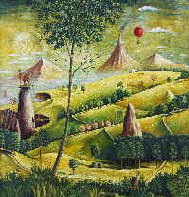 Coverpainting by Ulrich Schütt. This LP and CD was released in 1990 by "Phonogram"- Records. 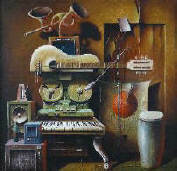 It contains some songs of the above albums and additional some new songs which I have recorded mostly with keyboards. Titel: 1. Sidewalk Café, 2. Amazonas, 3. Fantásia, 4. In Balance, 5. Time to Remember, 6. Dragon Fly, 7. Morning Breeze, 8. Merlin, 9. Anak (F.Aguilar), 10. Inspired, 11. Indigo (Geike/Topolov), 12. Dresden (it´s dedicated to one of my home towns).
" Time to Remember "
This album was released in 1988 by "Phonogram"- Records. Guest musicians: Jochen Petersen: synthesizer. Recorded at Blonker-Studio, remixed at "Hole in the Wall"- Studio by Frank Reinke, produced by Jochen Petersen. Titel: 1. Cape Ladiko, 2. Time to Remember, 3. Waiting, 4. 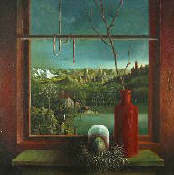 The Window, 5. You and me, 6. Mercy & Truth, 7. Blue Carousel, 8. Voice of Autumn.
" 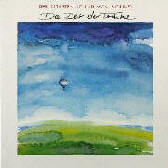 Die Zeit der Träume "
This LP and CD was released in 1985 by "Phonogram"- Records. It´s a compilation with songs of my solo albums 1 - 4, and additional the songs "Crying in the Rain" and "When a Man loves a Woman", which are not released on any other "blonker"-album. Songs: 1. Sidewalk Café, 2. African Kalimba, 3. Sleepwalk (Santo,Johnny and Ann Farina), 4. Midsummernight, 5. Aranjuez(J. Rodrigo), 6. Fantásia, 7. When a Man loves a Woman, 8. Here,there and everywhere (Lennon/McCartney), 9. Indigo (Geike/Topolov), 10. Amazonas, 11. 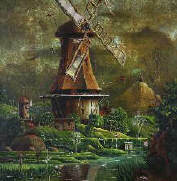 Windmills, 12.Anak (F.Aguilar), 13. Homeland, 14. Crying in the Rain (Greenfield/King). This album was released in 1984 by "Phonogram"- Records. Guest musicians: Frank Hieber: keyboards. Produced,recorded and remixed by Dieter Geike at Blonker-Studio. Songs: 1. Midsummernight, 2. Water Garden, 3. Hearts (J.Hopkins-Harrison/F. Hieber), 4. Dreaming, 5. Cuba Libre, 6. Lindane Le, 7. Open Circle, 8. Golden Brass & Broken Strings, 9. Inside, 10. The Rattlesnake. 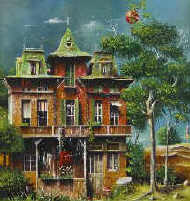 Coverpainting by Ulrich Schütt. This LP and CD was released in 1983 by "Phonogram"- Records. Guest musicians: Frank Hieber: piano & synthesizer, Helge Tillmann: drums, Gary Brown: drums. 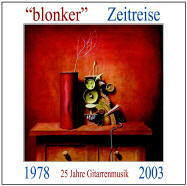 Produced, recorded and remixed by Dieter Geike at "Blonker-Studio", except song 6 and 10, recorded at "Rüssl-Studio" by Gero v. Gerlach, produced by Jochen Petersen. Songs: 1. African Kalimba, 2. Morning Breeze, 3. Sleepwalk (Santo, Johnny & Ann Farina), 4. Perpetuum Mobile, 5. Blue Horizon, 6. Here, there and everywhere (Lennon-McCartney), 7. Alhambra, 8. Maria Elena (Lorenzo Barcelata), 9. Homeland, 10. When a Man loves a Woman (C.Lewis/A.Wright). 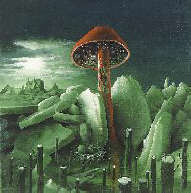 Coverpainting by Ulrich Schütt. This album was released in 1981 by "Phonogram"- Records. Guest musicians: Frank Hieber: piano, Wolfgang Schlüter: vibraphon, Jochen Petersen: synthesizer, Peter Franken: percussion, Helge Tillmann: drums, Frank Fischer: bass. Produced by Jochen Petersen, recorded at "Rüssl-Studio", Hamburg by Gero v. Gerlach. Songs: 1. Amazonas, 2. White Disaster, 3. Taurus, 4. Oslo Fjorden, 5. Seven Steps, 6. Take me to the Rainbow, 7. Windmills, 8. Melodie Intime (F.Hieber), 9. End of the Day, 10. Shadow & Light. Coverpainting by Ulrich Schütt.
" 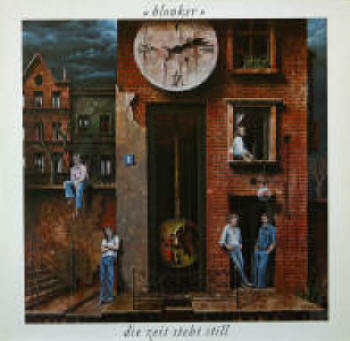 Die Zeit steht still "
This album was released in 1978 by "Metronome"- Records. Musicians: Kay Jessen. voc, Nicolas Stallard: keyboards & guitar, Helge Tillmann: drums, Thomas Grützmacher: bass, Dieter Geike: guitars & percussion. Guest musicians: Gaby Borowski, Rolf Köhler, Heiko Effertz: choir, Bernardo Ball: percussion, Lyrics: Marianne Rebesky, Manfred Feuerhak, Lukas Priester. Produced by Jochen Petersen, recorded at "Alster-Studio" by Richard Borowski. Songs: 1. Mädchen (Stallard/Feuerhak), 2. Schutz vor dem Sturm (Geike/Feuerhak), 3.Indigo (Geike/Topolov), 4. Verbraten (Geike/Feuerhak), 5. Die Zeit steht still (Geike/Feuerhak), 6. Kannst mal seh´n (Geike/Feuerhak), 7. Maschine (Geike/Rebesky), 8. Breites Meer (Geike/Priester). 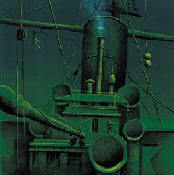 Coverpainting by Ulrich Schütt. 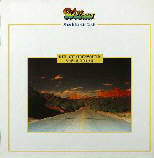 Style: Jazzrock with german lyrics, this record is not available any more.